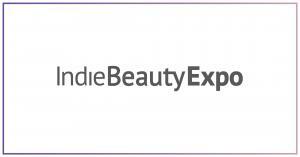 Indie brands are among the fastest growing product categories, and the Indie Beauty Expo (IBE) is the largest exhibition of independent beauty brands. IBE is the only event to bring together brands, buyers, press, consumers, entrepreneurs and thought-leaders all focused on indie beauty. Multiple Cities. Multiple Audiences. Multiple Opportunities. For more information about sponsorship opportunities, complete the form below and someone from our team will get back to you as soon as possible.